Hello and welcome to Verrus. We are leading UK and international recruiters of mid-to-senior level sales, commercial, operational and technical professionals across the seven major market sectors of construction, civils, industrial, engineering, technology, consumer goods and business services. We believe in great businesses and in the people that make them great. Because without exceptional people our world would not be what it is today. As recruiters, we’re privileged to play a pivotal role in identifying the people that will have a material impact on the future of the businesses we work with. We recognise the importance of our role and, by placing service excellence at the heart of what we do, we’ve built a world-class recruitment business that clients and candidates trust will help them realise their ambitions. 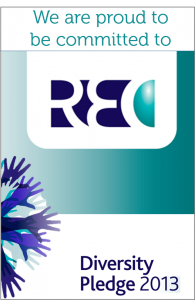 Ever wanted an insight into the fast paced world of permanent executive recruitment? Get all the latest news and comment here! Are you a candidate looking for a career change? A company looking to recruit? Or just keen to find out more? Either way, we want to hear from you today!